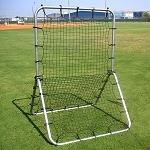 Backyard Batting Cages For Sale • Discount Prices • Free Shipping! 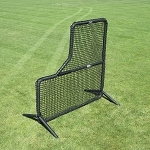 Have you ever wanted to train on your own time, right in your own backyard? 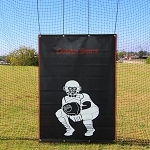 Well, now you can with one of these fully enclosed backyard batting cages. 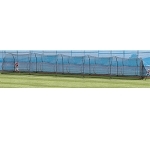 With sizes from 12 to 72 feet long, there is definitely a batting cage for sale here for any size lawn or purpose. 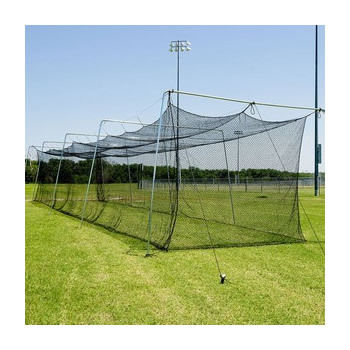 Here, you will find all of the various discount backyard batting cages, batting cage nets and baseball or softball screens we offer. 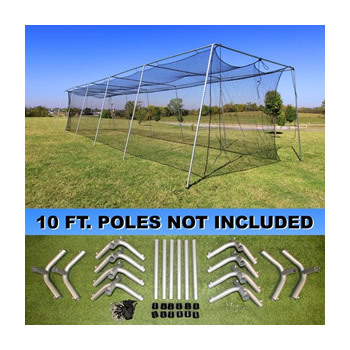 Below the product listings, there is more information that should help you better decide what the best batting cage to purchase for your family is. 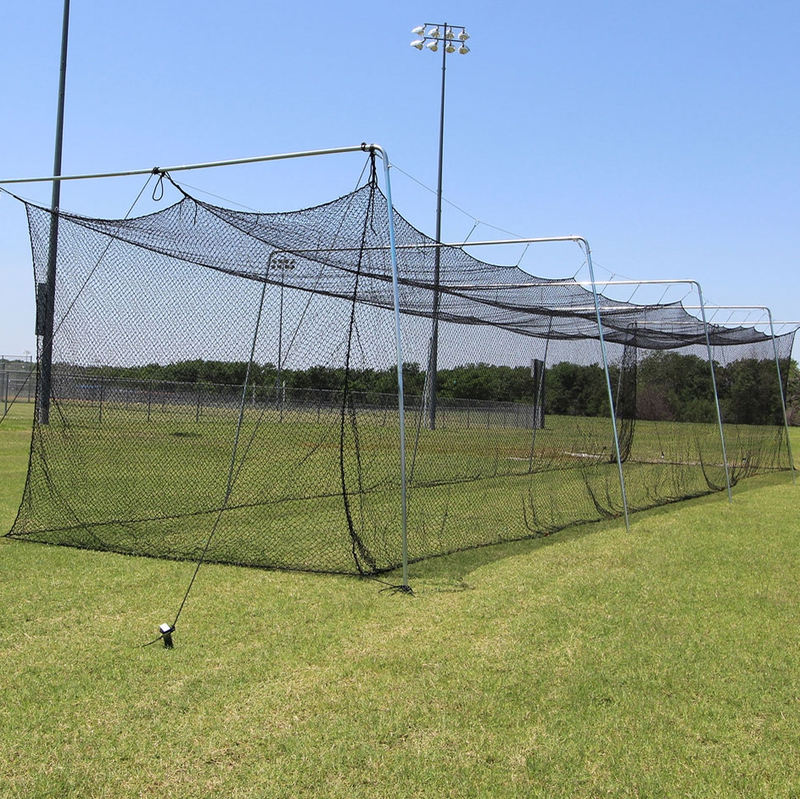 Our batting cages are tough enough to withstand all the practice you can take, but affordable enough to match almost any budget. 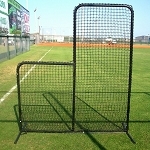 Batting cages like the Heater Xtender series allow you to extend the cage for long range batting or ground ball practice. Just purchase more sections and lengthen it as much as you want. 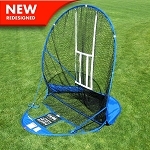 Got a golfer in the family? 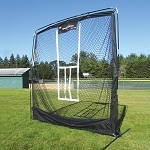 The smaller 1" to 1 1/4" netting lets you use your batting cage as a golf ball hitting net, too! 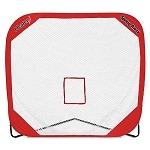 All of the discount backyard batting cages for sale on this website are constructed of durable fiberglass with resilient polyethylene netting and are made to withstand the elements. 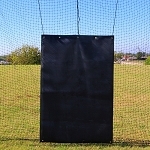 Nylon rope and steel ground stakes stabilize each batting cage and help maintain its structure. 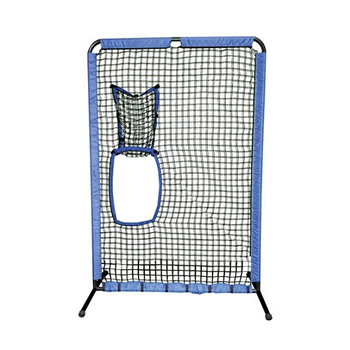 Features like foam protected frames (Xtender cages only) and pitching machine harnesses made specifically for Heater pitching machines (all cages) set these batting cages apart. 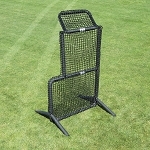 All of the Heater backyard batting cages are worry-free because they are backed by Heater's 30-Day Money Back Guarantee and a One Year Warranty. 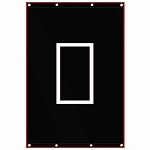 They ship free to anywhere within the continental USA, too! 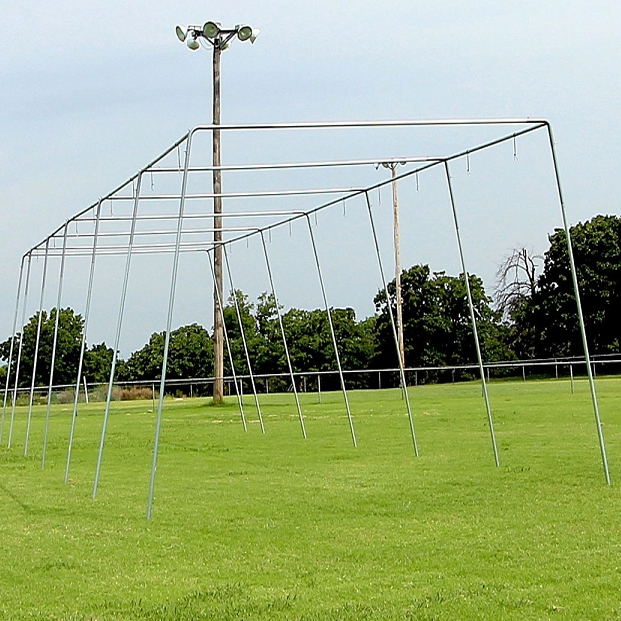 If you are a little confused about the different batting cage types, we have an article that addresses the basic differences between a HomeRun, PowerAlley and Xtender batting cage that you might want to take a look at - Choosing the Best Batting Cage.